Simple Ways to Decorate “Green”. Considering the environment when designing a home has become more and more important to people as we understand the greater impact how we live has on the environment. It’s no longer “trendy” but something every person should think about when building and decorating their space- from tiny to big! One of the reasons I partnered with on (you can still enter until May 12th! NO PURCH NEC. 18+. ENDS 5/12/15. ) was to help spread the word about green design. So here are some quick and easy tips that help incorporate green design into your space in big and small ways- every little bit counts! 1. Low VOC Paint– Using this type of paint reduces the amount of volatile organic compounds in your air, and in turn is far less smelly! Almost every major brand has a low or no VOC formula, so pick your favorite color and have it mixed in that formula! This is a very easy choice to make when doing home renovations. 2. Energy Efficient Lighting- When replacing fixtures think about using energy efficient ones (and LED bulbs). The not only make great looking fixtures now that use less energy, but also bulbs that emit soft, lovely light, unlike the first generation LED’s which were harsh and ugly! They may be more expensive up front, but last far longer and reduce your energy bill. 3. Adding Greenery– Simple adding a few houseplants to your home can help you have cleaner air, while adding great color to your space! 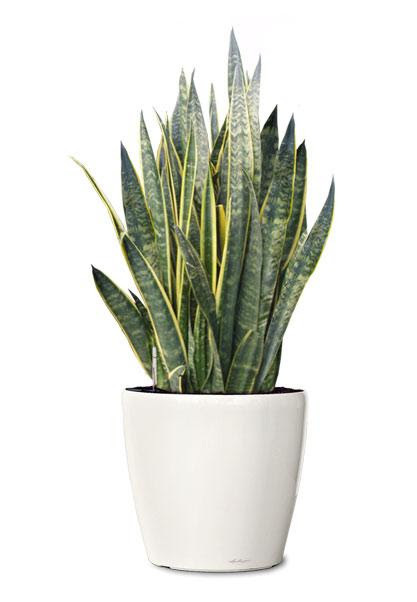 Types that help eliminate VOC’s from your home’s air include the spider plant, aloe plant, snake plant, ficus and bamboo palm. Plus every space needs a little green life to make it look complete. 4. Low Flow Showerheads, Faucets and Toilets – You can find showerheads and faucet that help conserve water while maintaining nice, strong water pressure! Look for items with the for those approved by the EPA. There are SO many choices available from all the best brands. 5. Reclaimed Wood Details- From reclaimed wood for flooring, beams and construction materials to using old barn wood tables decoratively, using older wood is both green and an amazing way to add texture and depth to your home. As you know from reading this blog, I LOVE reclaimed wood furniture and beams, so there is no compromise here! 6. Employ Antiques– Nothing is greener than using something that already exists instead of buying something new! Shopping online vintage sources like Etsy, eBay and 1stDibs is great, as is scouring your local flea market and tag sales. And don’t be afraid to paint something with great lines that is an off-putting color (with low VOC paint of course, if you want to be really green.) Every home should have something antique or vintage in order to keep the space interesting and unique! 7. Buy Organically Made Furniture– There can be a lot of icky chemicals in furniture (especially true with upholstery and mattresses) but there are some great companies that construct their furniture from environmentally friendly materials. All you have to do is a little bit more research into what goes inside those cushions! 8. Be wary of furniture made of MDF- Of course, a piece of furniture here and there made of MDF is fine (and helpful to the old decorating budget). But too much in your home can be unhealthy as MDF can emit formaldehyde into the air, which is a known human carcinogen. Budget furniture companies like IKEA are looking into using alternatives to make their furniture, so this may be a thing of the past with some inventiveness. I have some questions about LED bulbs, maybe you (or another reader) knows the answers! I read recently that really bright LED phone screens are destroying people’s eyesight, and can be especially harmful for children and babies. What about LED light bulbs? Do we have to be worried about them, or are they not as bright/intense as a screen? Does it depend on what kind/color light waves they emit? I’d love to switch over to more efficient bulbs, I just want to make sure there won’t be any health effects. Interesting question about LED, googling it now! I am thrilled with the resurgence (if it ever left) of antiques in a space. There’s a depth and luster in antiques that’s unlike anything else! Can you suggest some companies that are producing organically made/non-toxic (but still beautiful!) furniture? I ‘m finding them difficult to locate. Thanks! My most favorite for upholstery is Cisco Brothers- check out their amazingly gorgeous sofas, chairs and such. They also have some tables and accessories. what kind of plant is that pictured?